If you want some level of sanity in this world, you will need a sense of humor. If you're lucky, your kids will inherit your craziness. My father's jokes were mostly recycled, but he had a mischievous sense of humor that rubbed off on me. For example, if I left the table to grab the ketchup, my plate would be missing and later found under the table. If my kids step away from their ice cream sundae? Forget it! That is already hidden in the laundry room. And my favorite, the times he made us think those ridiculously made-up words he had in his vocabulary, like “ganubus” and “phanerbin,” were actually a part of the English language. I tell my kids their grandfather had me convinced that if I had “ganubus” on my shirt, I better go wash it. My father used to share silly stories of his academic struggles throughout high school and the first year of college. I must have inherited this gene, because I had my own hurdles. I learned that my father had weaknesses and flaws, but they made him stronger. When I moved in with him for the last year and a half of high school, he helped me pick up my self-esteem and my GPA, both of which hit rock bottom. His technique was simple, and it came down to three simple words: ask for help. Seems obvious, but I never, ever asked anyone for help. I thought I could always figure things out on my own. When I finally took his advice, my grades skyrocketed and I was suddenly no longer afraid to say, "I am lost. I need help." The girl, who most people didn’t believe would be accepted into college, went on to graduate Phi Beta Kappa from Boston University with a doctorate. Thanks, Dad! To this day, I still ask for help. Dad was never afraid to put a total stranger in his place, especially when they were out of line or mistreating others. I added my own angle by doing it politely and leaving out the expletives. He tended to overreact and drop a few F-bombs, but I decided to be more chill and Zen in my thinking. There's a world of rude and inappropriate people, never thinking of those around them. When you see someone, who is being mistreated or needs help, bring your A game! And when it comes to parenting, don't be an a-hole, because your children will mirror your behavior. Treat kids the way you would want to be treated. Hopefully, if you respect them, they will respect you. It's a two-way street. Encourage your kids to work hard and keep their priorities straight. As a parent, be their cheerleader, mentor, and coach. There is nothing more satisfying than seeing a kid with a healthy self-esteem, a strong drive and determination, and a feeling of unconditional love and guidance. Let your kid fall down and pick up the pieces on their own, because that is how they learn and build character. Hard work and guidance build resilience in life. So do all of life's boo-boos. When life gets tough, you will need to be tougher. In my single days, I had my own apartment and a mega toolkit from Home Depot. I had drills and more gadgets in there than I knew what to do with. I could put up dry wall, lay down a linoleum floor, mow lawns, and hang up a ton of crooked pictures. I wasn't great at everything, but I tried and failed happily along the way. In almost every apartment I lived, I painted. I was always taking the initiative to change and make things better; this attitude and skill set has positively influenced my teenagers, while making my husband wonder, "What's next?!" Try all sorts of careers. You don't have to be great at them all, but why have unfulfilled dreams and aspirations? Trying something and failing makes us stronger and brings about change. New beginnings or career shifts that might seem absurd, just might help you connect the dots to what lies ahead. Everything usually works out the way it is supposed to. 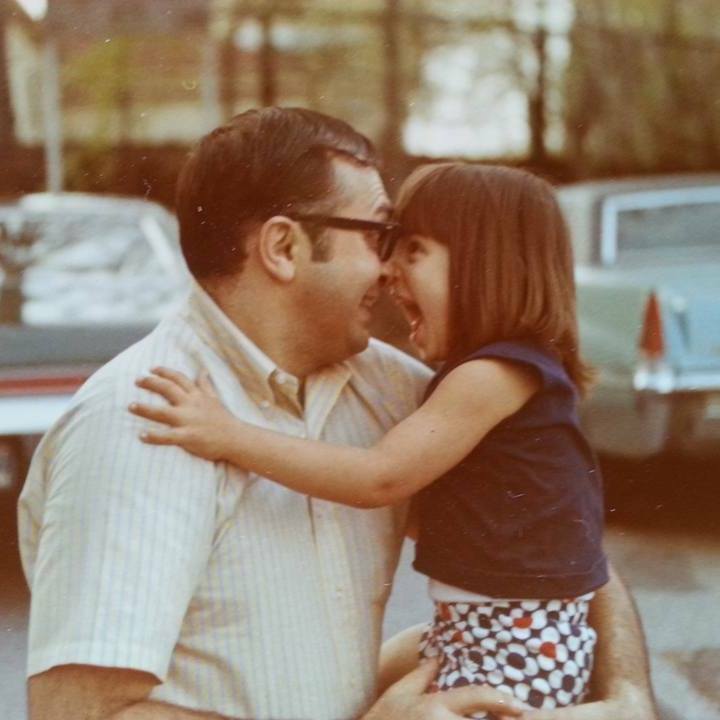 Take it from my Dad: the accountant, comptroller, bakery and car dealership owner, textile worker, women's apparel manufacturer, building and bridge remodeler, and home builder. Oh, and a pretty great Dad to one lucky daughter.